...we just live in it! ... with enough effort, one can extract from his writings some interesting insights and observations, peeling away the framework of obfuscation that is required for respectability in the strange world of intellectuals, which takes on extreme forms in the weird culture of postwar Paris. Foucault is unusual among Paris intellectuals in that at least something is left when one peels this away. , Arnold Davidson, ed., 1997. Don't you just love how he so effortlessly, naturally, and precisely uses the words "obfuscation?" 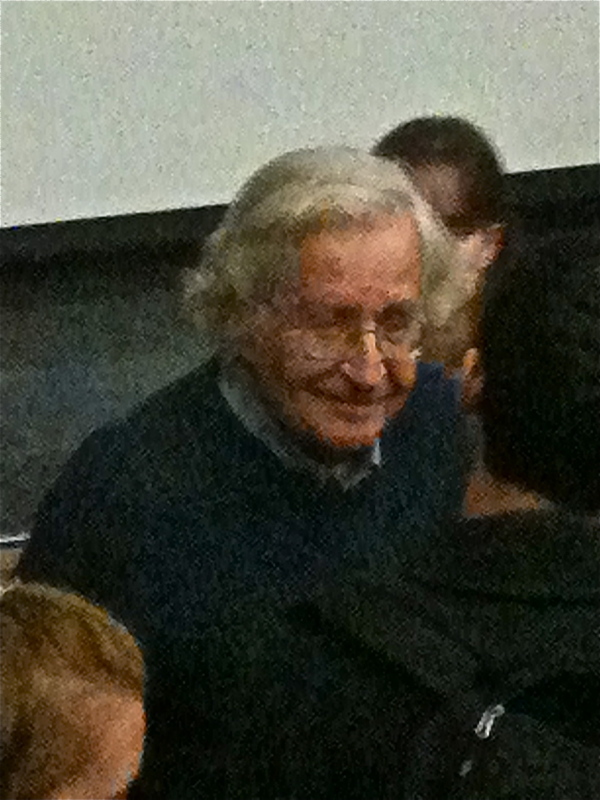 The photo of Dr. Chomsky is from a talk a couple of years ago that some of us @educhora attended.